Plant Success Liquid Orca is a Premium Liquid Mycorrhizae with Beneficial Bacteria. 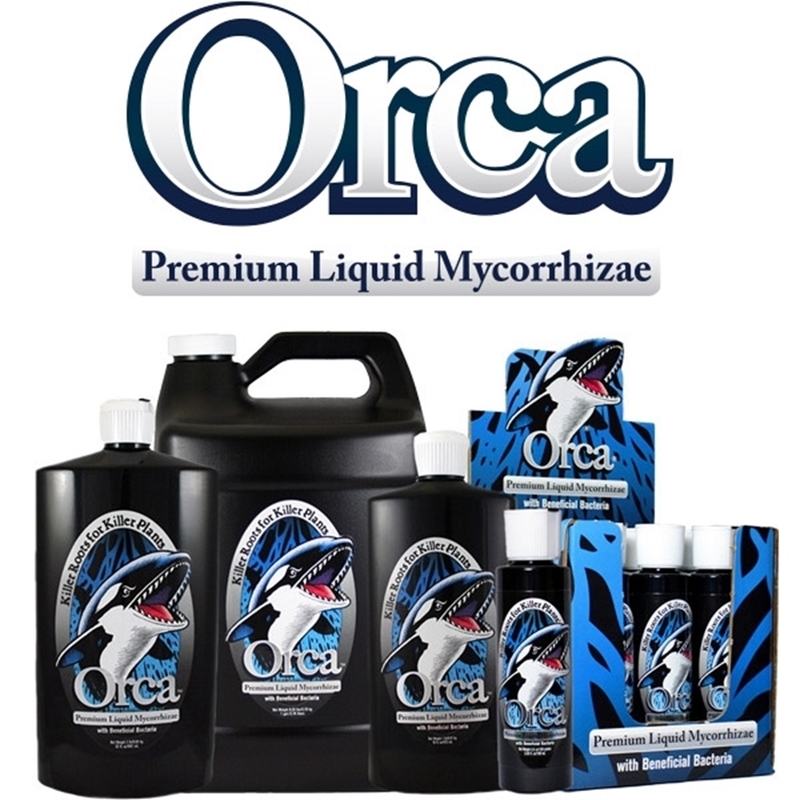 Orca is a highly concentrated LIQUID mycorrhizal and beneficial bacteria. Liqiud Orca is an easy-to-use, all-in-one treatment that inoculates root-zones with four strains of endomycorrhizal fungi and 11 strains of highly beneficial bacteria. They form a symbiotic relationship with plants, facilitating a massively increased level of nutrient uptake, warding off pathogens and promoting glowing, radiant plant health. Plant Success has created this liquid Orca which makes it easy to push plants to their full potential. Orca will push their growth, enhancing yield and boosting biological properties in any system and in any growing medium! By cultivating a complex culture of beneficial microbes, you'll even help to prevent issues with root disease, the bane of many a hydroponic gardener's life. Orca can be used on seeds, cuttings, in coco and soil or in any hydroponic system. Use 1-2 drops directly on seed. Soak starter cubes in Orca® at 1-3 mL per 1 gal (4 L) of water for up to an hour. Orca® can also be used in pre-soak solution. Use 5 mL per 10 gal (35 L) of water every reservoir change from start to finish. Use 1-5 mL per 1 gal of water. Ecothrive Biosys contains a unique blend of microbes and natural plant growth stimulants. Biosys is a concentrated powder that you add to water to make what we call a ‘microbe tea’. It contains some quite complex ingredients that work on a few levels. The microbes in Biosys improve root function, increase nutrient and water availability, help with disease prevention, speed up the breakdown organic matter and improve plant growth. 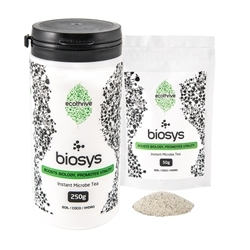 Biosys is easy and quick to mix and use, nothing immediately improves the health of your root zone quite like Biosys. 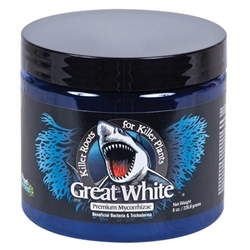 Great White is a premium Mycorrhizae made up of multiple fungi and beneficial bacteria all targeted to expand and improve the root zone, showing explosive growth and health. 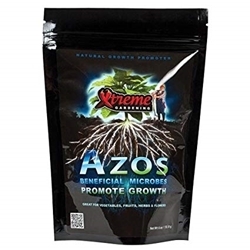 Azos utilises a particular strain of bacteria called Azospirillum brasilense which, in nature, assists with the nitrogen cycle – the process by which nitrogen changes between its different chemical forms. This bacterial strain takes nitrogen from the surrounding atmosphere and converts it into a form that's easily absorbed by plant roots. Nitrogen is a crucial macronutrient that's required in larger proportions during the vegetative growth stages. Azos offers a way to boost nitrogen levels and improve growth rates using purely organic methods and without the need for chemical fertilisers. 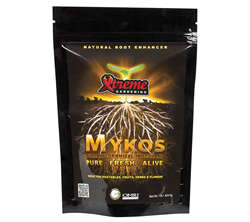 Azos can also be used in hydropoinc culture, even at high EC levels, making it perfect for any growing style.